Lock in a great price for Playa Azul Baler – rated 8.3 by recent guests! Very relaxing place to stay. 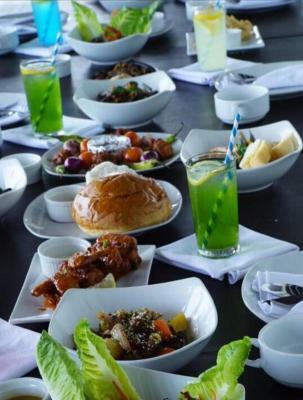 Foods are really awesomely delicious but affordable. Staffs are nice and cool. The overall experience is worth the price. Room, location, food, cleanliness, service, facilities ang safety, will definitely makes you come back. The location to surfing spot is very near. The room view is awesome. The staff are very accommodating. We arrived earlier than the check in time so they prepared an area where we can leave our bags so we can go on with our tour. They notified us on time when the room is already available. Food prep is fast. Everything! The stay was very comfy, awesome sights and surprisingly delicious food. Reservation was smooth and I was well briefed about our coming stay. Definitely my go-to hotel in Baler. Spacious clean room, accomodating staff and very much satisfied with the free breakfast. Nice place to stay. We had our stay over the weekend at this hotel. Very accommodating. Staff go beyond the extra mile for giving us information about the place. They all wear smile. We had a problem with the ac but was immediately fixed. 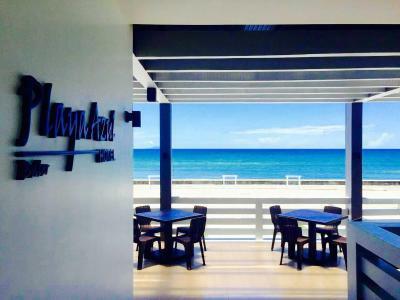 Recommending this hotel in Baler. It's a beach front property and the building is fairly new. The staff are really attentive and they smile and greet us every time. The breakfast is ala carte style but we can request it delivered to our room (helpful if the guest is tired from the long Manila to Baler drive). The staff are very accommodating and helpful. You will feel at home right away. Location is perfect for me. It’s not very near shops and restaurants which also means away from the crowd. No problem with logistics since there’s plenty of tricycle that passes by. Beach front. Surf instructors are everywhere! Nothing fancy about their breakfast but it’s good enough to start up your day. Longsilog is my pick. Another strong point is their reliable wifi. We enjoyed our 4 says stay and will definitely choose this hotel when we go back to Baler. Just perfect, location, PET FRIENDLY, the food is excellent, prices are fair, staff is totally friendly and hotel is pretty new and clean. The internet access is now available throughout the hotel and in rooms and has a 50/50 Mb Pldt Fiber Access. You can upload your videos in seconds now!!!! Very friendly staff. Delicious food (Tuna Sisig must try!) and the room is really clean and neat when we arrived. Very relaxing vibe specially in the balcony. Kudos! 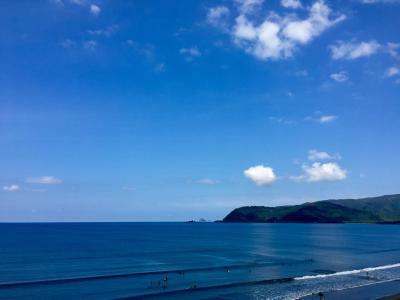 Playa Azul Baler This rating is a reflection of how the property compares to the industry standard when it comes to price, facilities and services available. It's based on a self-evaluation by the property. Use this rating to help choose your stay! 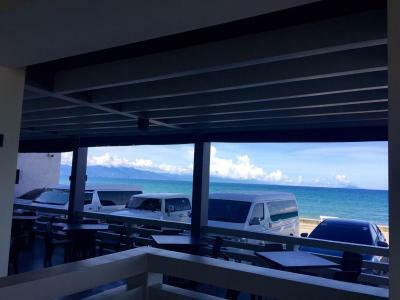 One of our top picks in Baler.Playa Azul Baler is a beachfront property located 1.8 mi from Baler Hanging Bridge and features an on site dining and free WiFi throughout the property. All guest rooms in the hotel are equipped with air conditioning, a working desk, and a flat-screen TV with cable channels. 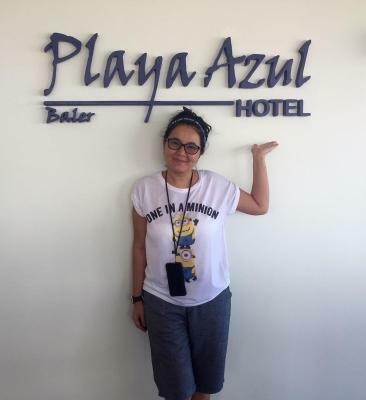 Playa Azul Baler features some units that have a balcony, and the rooms include a private bathroom with a bidet and free toiletries. A continental, American or Asian breakfast is available every morning at the property while room service is also available. Playa Azul Baler is and 30-minute drive from Ditumabo Mother Falls. 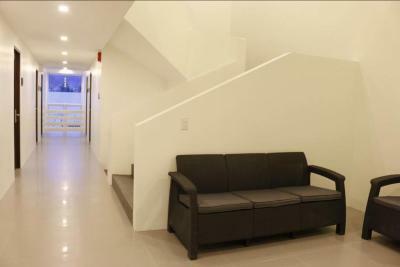 The nearest airport is Clark International Airport, 116 mi away from the property. 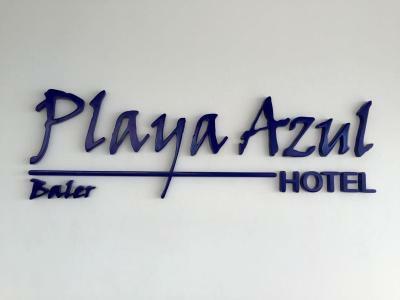 When would you like to stay at Playa Azul Baler? 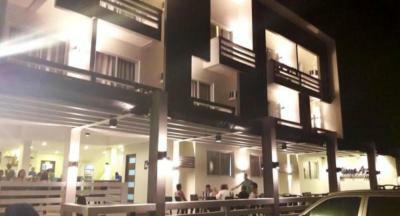 This air-conditioned quadruple room has a balcony with sea view and a flat-screen cable TV along with a working desk. The bathroom has shower facility and free toiletries. This air-conditioned quadruple room comes with a flat-screen cable TV and a working desk. The private bathroom is equipped with shower and toilet, along with free toiletries. Equipped with air conditioning, this triple room has a working desk and a flat-screen TV with cable channels while the private bathroom comes with shower facility along with free toiletries and a toilet. 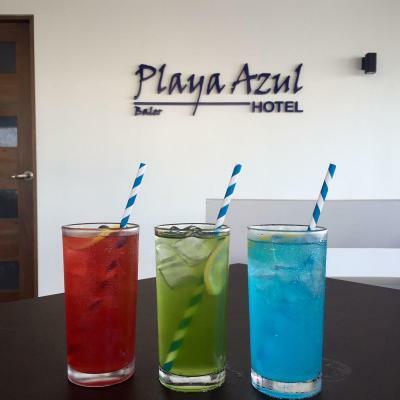 House Rules Playa Azul Baler takes special requests – add in the next step! Any additional older children or adults are charged PHP 1000 per night for extra beds. Please inform Playa Azul Baler of your expected arrival time in advance. You can use the Special Requests box when booking, or contact the property directly using the contact details in your confirmation. It would have been nice if the room is cleaned daily. 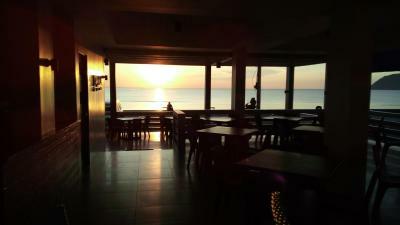 It's near the beach, the resort has a restaurant, trikes abound, courteous and accommodating hotel staff, among others. When we went down to have dinner the first night, we found out that the restaurant is closed already. But the staff offered to serve sandwiches to satisfy our hunger! That to me is a classy service. They clean your room everyday. The only problem is that they do not accept credit cards. That should Be mention when guest are booking. That is the catch 22. What if guest did not Bring cash. Very nice location. The best staff ever. Breakfast is delicious but only with limited choices. Beds are comfortable, Bathroom is spacious. Beach is not maintained altho I don't really put the blame to the resort. Friendly staff, well maintained facilities. It would have been nice if there was some bench seating along the seafront to watch the surfing etc,some pestering from local peelers. The fact it was not to commercialised ie very local no bright lights quiet of a night time,good local seafood available,very good food in local hostilities.